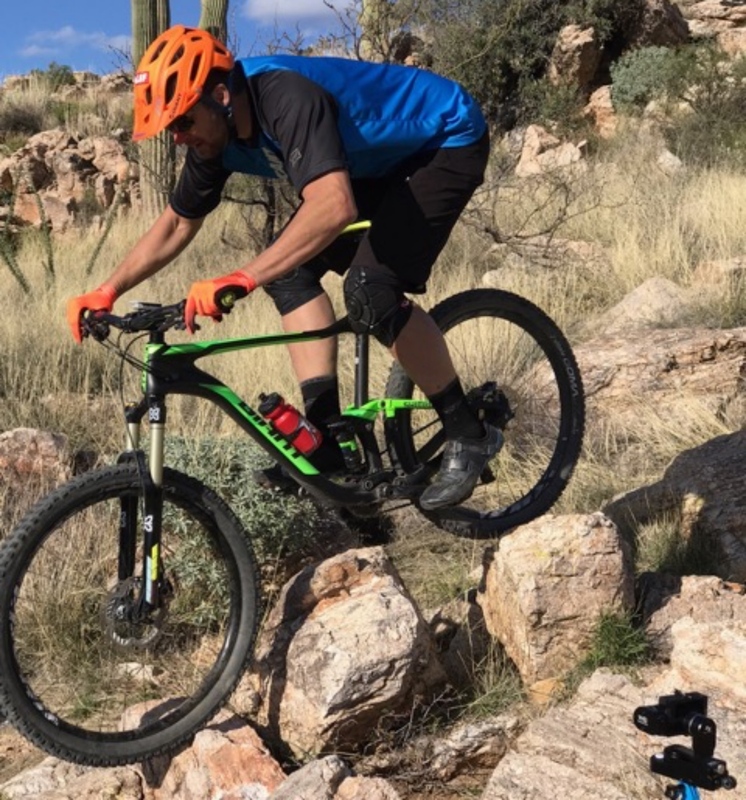 This latest Jeff Lenosky Trail Boss episode comes from the challenging slopes of Arizona’s Mount Lemmon near Tucson. La Milagrosa trail is by far the most challenging he’s tackled for this series, says Lenosky. The MTB Project description notes that, “To get to the official start of La Milagrosa, you need to first begin with a miserable hike-a-bike up about 500 vertical feet over a little less than a mile to the top of the ridge.” Lenosky took this as a challenge and decided to see if the climb was possible. Press play to see what happened. 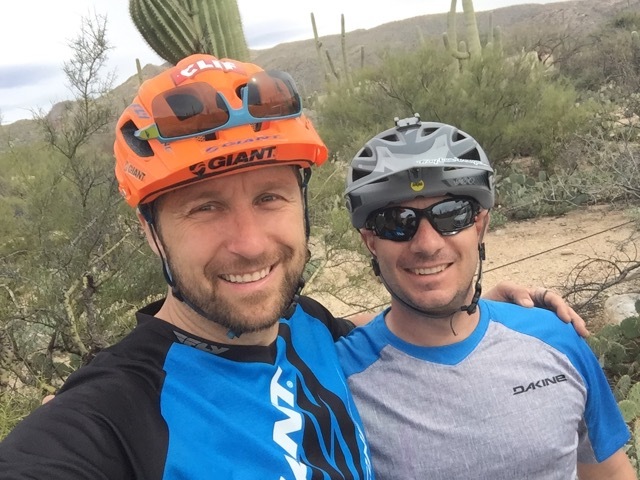 A veteran rider with a 20-year professional career and three Observed Trials U.S. National Championships to his name, Lenosky uses his skills to ride the unrideable in Trail Boss. When you ride an entire trail you may feel like a Boss, but without the proper skills Mother Nature can quickly remind you who’s really in charge. 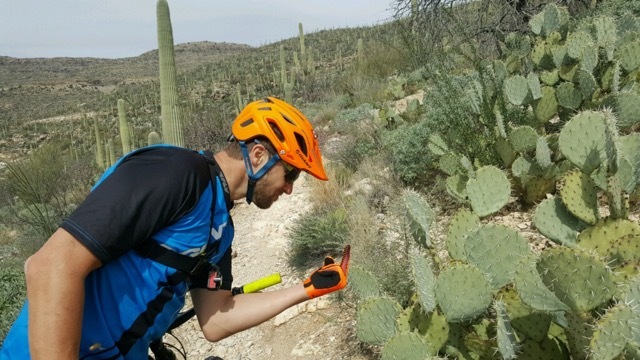 This video series explores some of the most technical trials around and provides tips so you can become a Trail Boss, too. You can catch more episodes here, here, and here. Want to learn more about the bike Lenosky rides. Check out this video where he breaks down all the key details of his size XL Giant Trance Advanced trail slayer with 130mm of travel up front and 110mm in the rear. Lenosky (L) and his cameraman Brian Trader. Jeff how do you think the bigger Giant Trance 2 (2017) would do on these very technical and sometimes tight climbs ? Please keep these helpful videos ! Ooops meant Please keep these helpful videos ! Last time I promise …. Please keep producing these helpful videos !